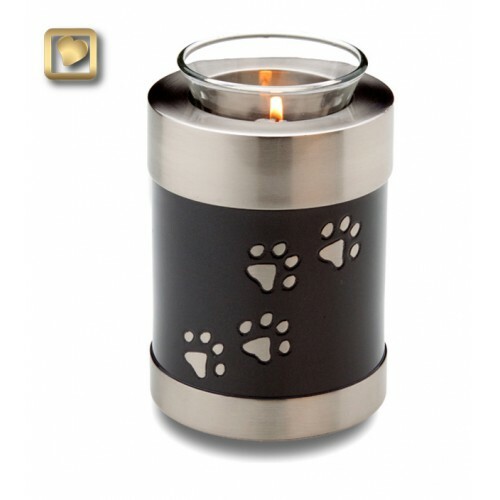 The Adore Paws Pet Cremation Urn in black features a silver-tone threaded lid and engraved paws to heaven. A very popular and appealing modern pet urn design in brass. The urn is protected with a specially formulated GlossCoat™ for added protection. This urn comes with a velvet pouch and is engraveable. 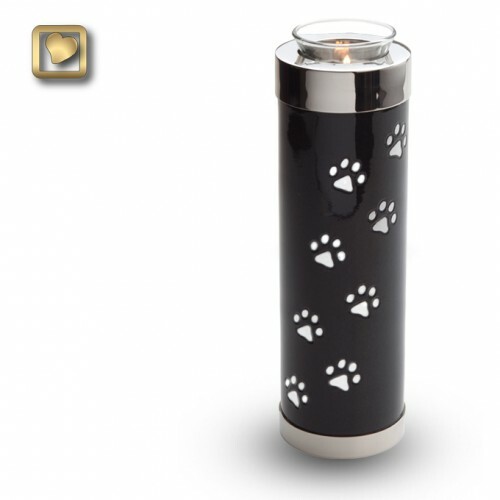 Offered in three matching sizes and two midnight tealights (click on the small photos to see larger images of the different items) for our small to large furry friends by Memorial Urns and handcrafted with Love by LoveUrns®. Tealights come with a glass insert but candle is not included.